using an affirmation/quote in place of a photo. was written by the beautiful Marilyn Monroe. you can purchase your chipboard direct from the Dusty Attic website . That quote is gorgeous and you made it even more gorgeous by scrapping it in such a beautiful way. Really amazing lay-out! Stunning layout and such great choice of embellishments for this quote you chose. Your work is always so heartwarming! Thank you!! This is just gorgeous and such a beautiful poem to go with it! What words of wisdom Heather, and what a beautiful way you chose to present them. Thank-you.! So gorgeous! LOVING the colors and that quote!!!!!!!!!! Beautiful Heather and such a wonderful quote. Sigh, another Heather masterpiece. The softness and beauty of this is amazing. Have a great weekend Heather. 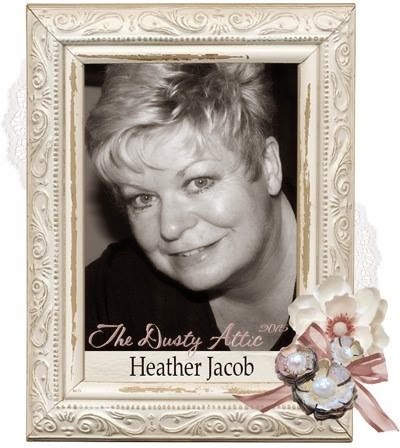 Hi Heather, this was so moving..you have framed the quote so well...a true masterpiece! Hi Heather! I hope your birthday was special! This layout is gorgeous, love the tranquil colours and great quote too. I reckon this would be wonderful framed on your wall! Have a lovely weekend!